Sunset corner is a studio with a queen bed that sleeps 2 comfortably with a pull out couch for extra guests or children. This bright open floor plan suite has a fully equipped kitchen with all amenities you would need! Come home and relax in front of the fireplace after a stormy beach walk. Enjoy the breathtaking views from the couch to the balcony. There is a grassy area outside with stone picnic tables perfect for tide watching and enjoying your fish tacos! Fred Tibb’s is conveniently located in-town, walking distance to restaurants, shopping and ample tours if you are up for an adventure. The place is very clean and well equipped. The location is fantastic, also with an ocean view. Walking to down town was easy and fast. We would come back. Thanks! 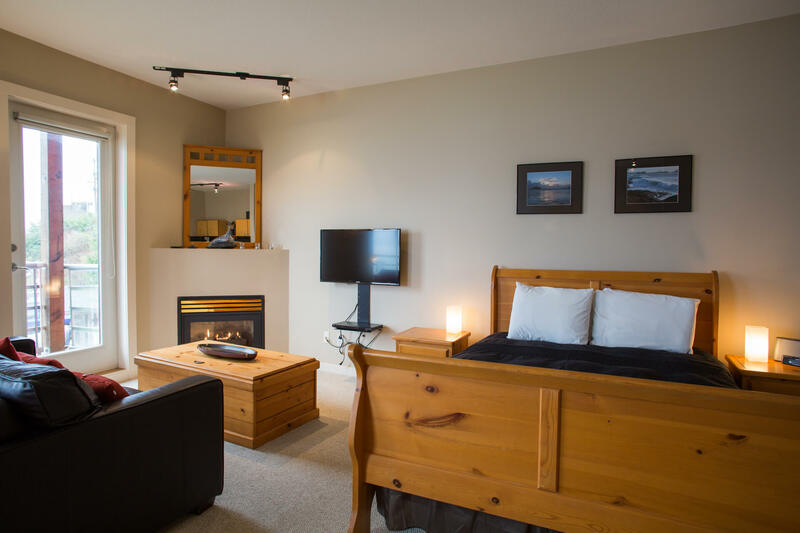 Perfectly situated to enjoy Tofino! 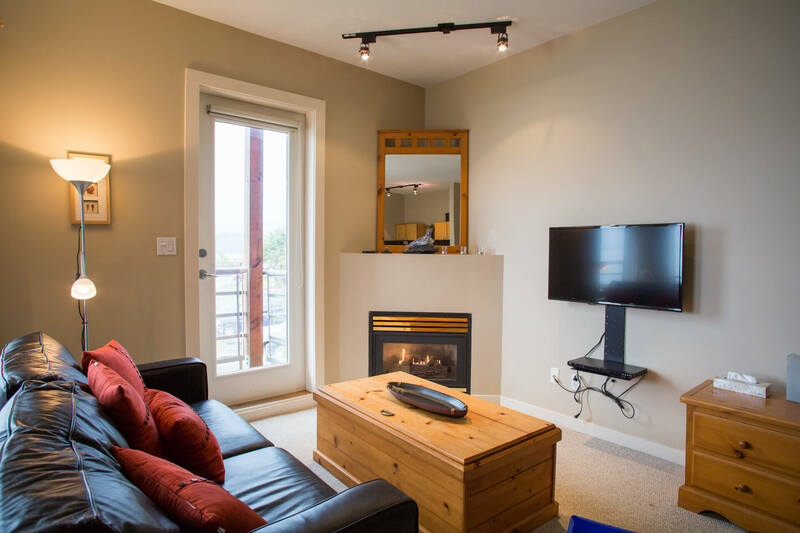 The studio apartment was situated right by the ocean in the heart of Tofino. The balcony looked over the wharf and allowed us to see wildlife from the convenience of our place. 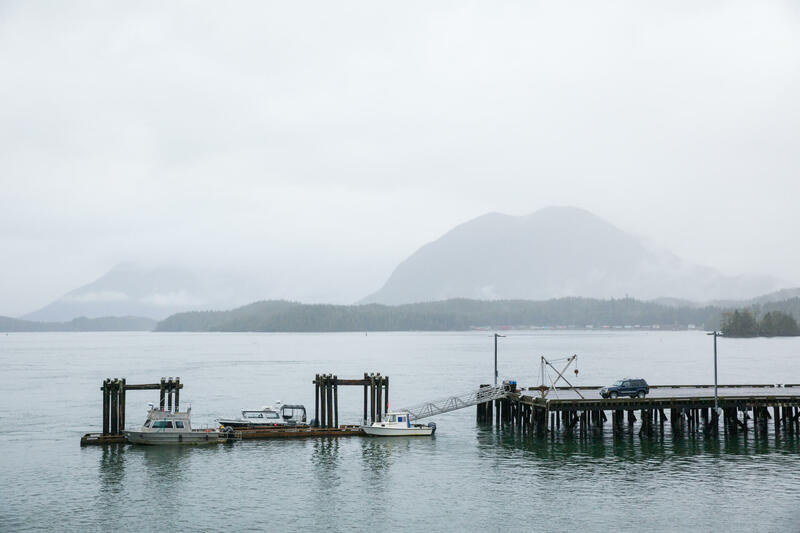 The town of Tofino is within walking distance, which was handy for our family. Having assigned parking was a nice touch to the property. The kitchen in the place was well stocked and the room was spacious. We felt supported in our stay and enjoyed the region. We will be looking to stay again at this studio when we return to the area. We highly recommend it. Definite 5 stars!! Great hidden gem. Perfect location. 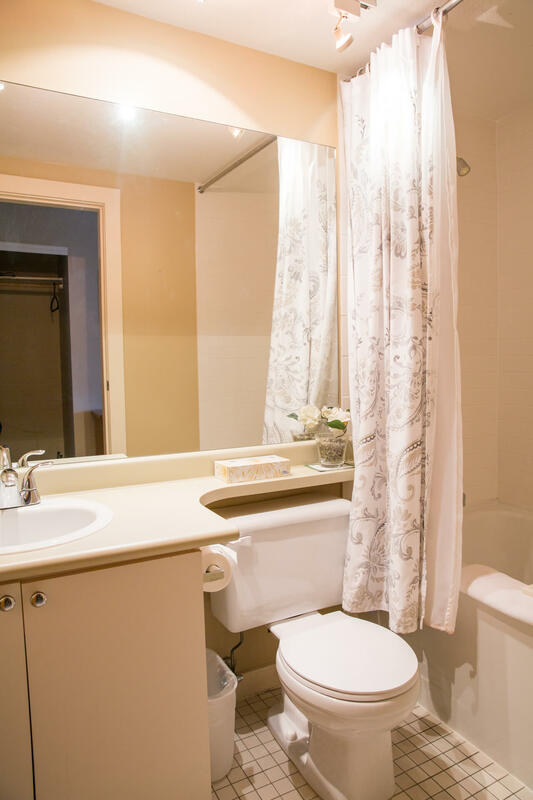 The condo has everything you need to make it feel like home. We arrived a bit late and everything was ready for us in the drop off pick up box at the office. Perfect vaca. Great location, clean and all the amenities!! My husband and I came to Tofino for a wedding and stayed here. The location was perfect. The condo had everything we needed and the staff were so nice at check in! Would stay here again. This property was well kept and just as advertised. Kitchen stocked with the basics for cooking which was great. The location is key, right in town and a great view of the goings on in at the docks. Would recommend.